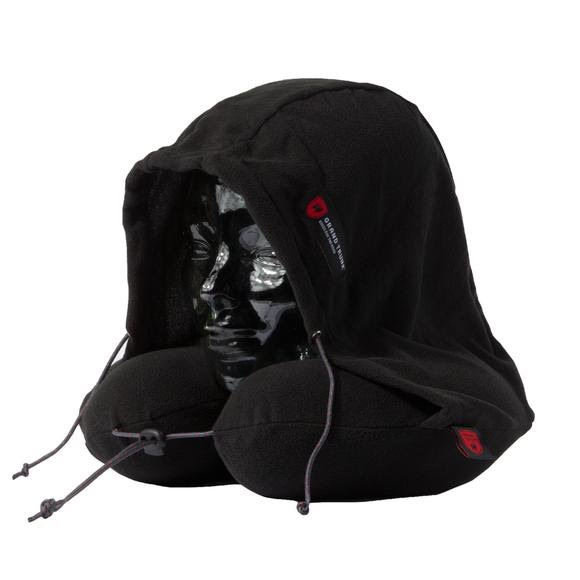 Travel like a Jedi with the best hooded travel neck pillow from Grand Trunk! During a long transatlantic flight even when your neighbor refuses to pull the airplane window-shade down, this travel neck pillow is exactly what you need. Travel like a Jedi with the best hooded travel neck pillow from Grand Trunk ! During a long transatlantic flight even when your neighbor refuses to pull the airplane window-shade down, this travel neck pillow is exactly what you need. This cozy airplane pillow made of soft micro-fleece and designed with memory foam provides ergonomic comfort and neck support, while the storable hood covers your eyes for instant darkness. Plus, with its included carry bag, you won&apos;t get it icky in transit and travel like a pro. Measurements 11" x 11" x 4"